A while ago now I bemoaned the fact that I don't have a lot of traditions. In a bid to remedy this I decided to adopt various treat-centric celebrations, one of which was l'Épiphanie. It's still early days so, unfortunately for you, I'm yet to include guests in this feasting festivity, but what has become tradition is that each year around the 6th of January, I attempt—and fail spectacularly at—baking galette des rois. When I first started l'Épiphanie I enjoyed delicious success as I retraced the stories behind this day of celebration. But my plans to make a proper occasion of it were soon thwarted by a false sense of ability as things quickly went embarrassingly downhill. In a medium bowl, combine the almond meal, sugar, salt and zest. Mash in the butter until completely incorporated, then stir in the egg, vanilla and almond extract (don't worry if at this stage, the mixture does not appear smooth). Cover and chill for 30 minutes. On a lightly floured surface, roll one piece of pastry into a sheet 2-3 mm in thickness and trim to a disc 22 cm in diameter. Repeat with the second piece of pastry. 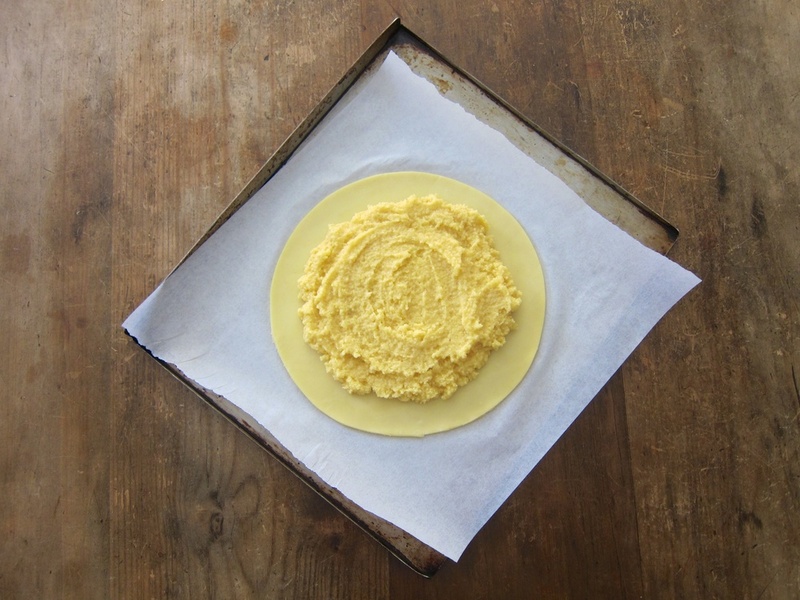 Place pastry discs on a baking sheet lined with parchment, separating the two discs with a second piece of paper, and chill for 30 minutes. Remove the dough and almond filling from the refrigerator. Spread the filling over the centre of one piece of dough, leaving a 3 cm border around the edge. Add le féve, if you wish, and brush water generously around the exposed perimeter. Place the other circle of dough on top of the galette and firmly press down the edges to seal. 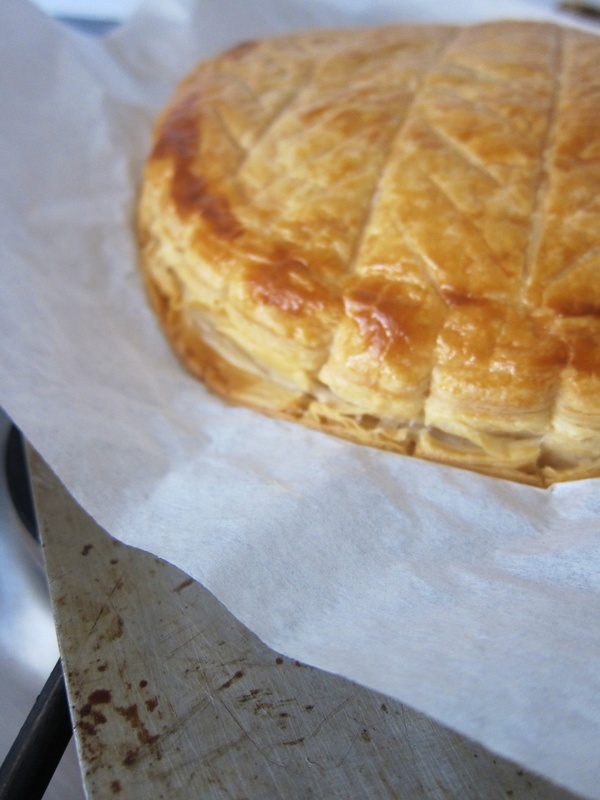 At this stage while it is not necessary, the galette may be refrigerated (up to overnight) if desired. 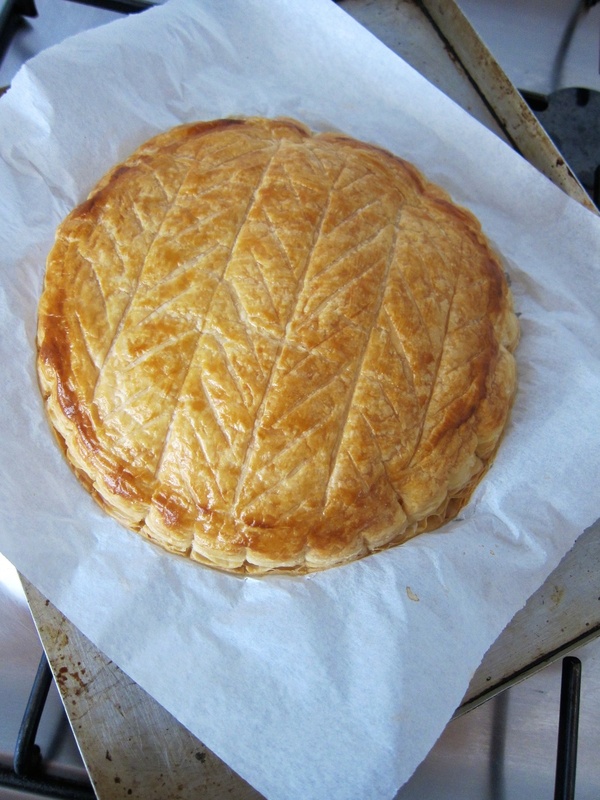 To bake the galette, preheat the oven to 200°C. 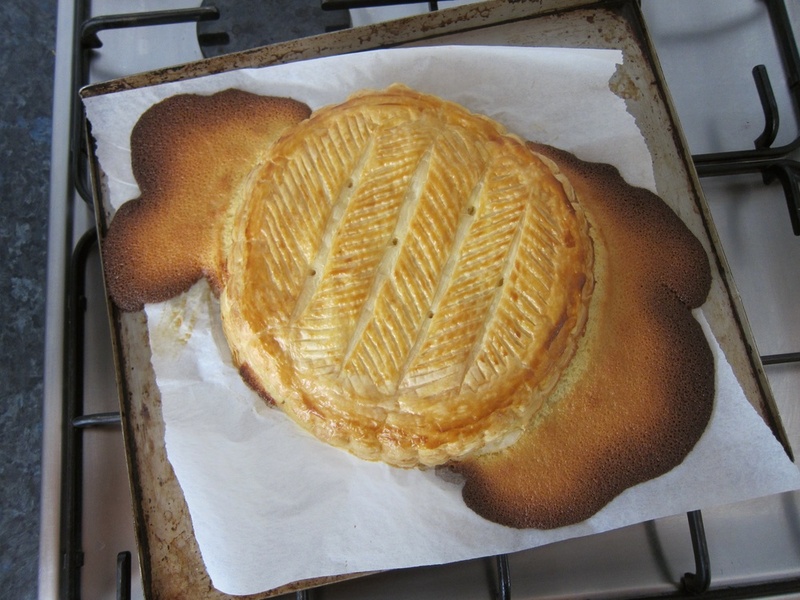 Brush the galette evenly with egg-wash (avoiding the edges as this will inhibit the pastry from rising), and then use a paring knife to flute the sides and create a design on top. Poke a few small holes in the top to allow any steam to escape. Bake for 25-30 minutes until golden brown, then remove from the oven and slide onto a cooling rack. Serve warm or at room temperature. ** I think what helped to finally create a proper seal was actually lifting up both sides of the pastry when pressing the edges together, and increasing the oven temperature so that the pastry puffed quickly. However, despite these improvements my galette are still far from perfect, so if you have any tips or suggestions I'd love to hear them!